Experience unforgettable experiences knowing the underwater world. Combine vacations with adventure. Come and spend together unique moments of fun and entertainment. We are waiting for you with a joy and positive energy in Horto, a southern area of southern Pelion. We can also come to your place of residence on request. 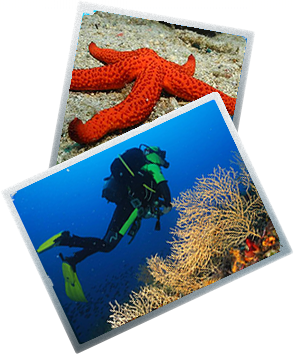 check out our Diving Courses ! Discover the underwater secrets of both the Pagasitikos Gulf and the Aegean Sea with us! From dive spots right in front of our facilities to the exploration of pristine beaches and solitary islands by boat, we offer it all. Your adventure starts here!